We’re privileged to see our community of fixers, makers and do-ers growing every day, thanks to people who believe in Sugru as much as we do. If you have a website or a blog and you’d like to help us reach even more people, we now have an even better way to say thanks. Sign up on Rakuten — our affiliate network partner. It&apos;s free, quick and easy. Once you&apos;re registered, just apply to join the Sugru Affiliate programme, then our team will double-check your application (usually within 48 hours). On the platform, you’ll find everything you need to talk about Sugru in a way that works for your audience — choose between links, banner ads or written content (available on request). For each confirmed sale you help us generate, we’ll give a commission as a thank you for helping us grow our community of fixers and doers! 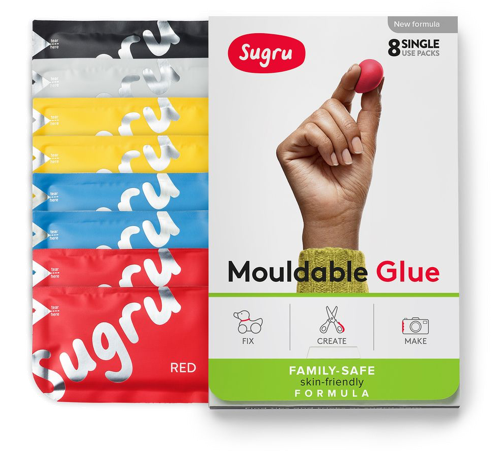 New Sugru Packs. No Scissors.